2. Long-press the Power Off option that appears. 3. 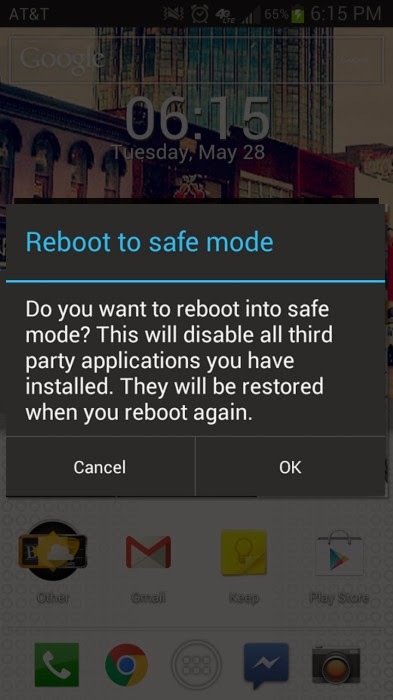 A dialog box asking you if you want to reboot to safe mode will pop up. Tap select OK.
4. When the phone reboots, you will see a Safe Mode watermark at the bottom left of the screen, to let you know that you are in safe mode. 2. Now turn it on. 3. 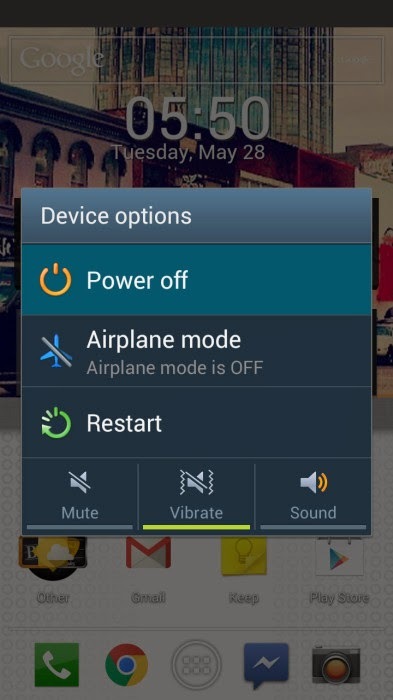 As your phone is booting, hold down both the Volume Up and Volume Down buttons and keep them held. 4. Once your phone has booted, you should see a Safe Mode watermark at the bottom left of the screen, to let you know that you are in safe mode. Note: If the alternate method also does NOT work, you can try holding down menu instead of volume up and down buttons while booting. 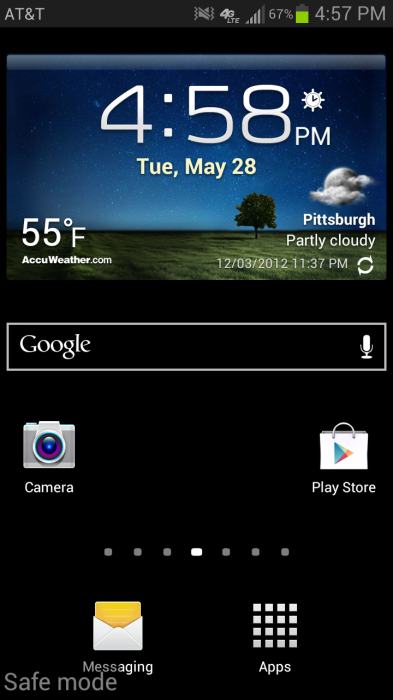 In safe mode, while you can’t use third party apps and you can uninstall them. So if your phone is giving you problems as bad as freezing and not letting you uninstall apps, you can uninstall the problem app/apps in safe mode. In addition, if you need to, you can backup your data or factory reset your device in safe mode . To exit safe mode, you just restart your device normally as usual.